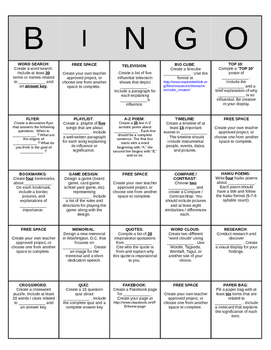 FREE Editable BINGO menu of projects. Use this template to create over 20 different projects for students to complete to demonstrate their understanding and appreciation of ANY topic or subject. This is a perfect way to allow for differentiation in your classroom and it is engaging for students because it provides choice.